In my last blog post, I wrote about using a greenhouse or a solar room to warm your living rooms during the cold winter months. By using a greenhouse, you are in actual fact using solar energy to reduce your home electricity bill. Less power needed for heating purposes. As I was doing my research for this post, I came across many types of greenhouses. The three basic types are attached, ridge or furrow greenhouses and detached. But in order for the greenhouse to circulate warm air into your living rooms, it has to be attached to your house. The following are the types at “attached” greenhouses. When the space adjacent to your house is limited, a lean-to half-greenhouse is a good option. The structure ridge line is attached to the side of your house or garage. In the design, you can put a doorway leading into the building. Since the greenhouse is just next door, it has easy access to electricity and water supply. In this type of design, the greenhouse shares a common gutter with your house. This design increases the efficiency and maintain continuity by increasing the area under the greenhouse canopy. There are no division of the structure inner walls. The even-span greenhouse is a hybrid. It can either be attached to your house or as a standalone structure. When it is attached, it has one gable end connected to your house. This type of design can be very large and can be scaled up as required. 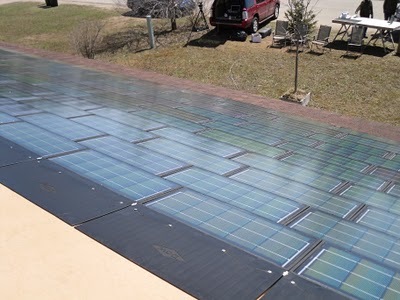 The amount of solar energy collected can be substantial and the warm air generated will be more than sufficient to keep your entire living rooms warm and toasty. If you are on a very small budget, you may opt for the window mounted greenhouse. These are the smallest of all the greenhouse enclosure available. The amount of warm air generated is enough to heat up only your bed room. A window mounted greenhouses are relatively low cost and require very little maintenance. Building a greenhouse to warm your living rooms is a passive way of utilizing solar energy. Nonetheless, with the right design and proper construction, the warm air generated during winter months can reduce your heating bills substantially. Are you keen to build your own greenhouse? If you do, you would need a design blueprint. Be sure to check out Bill Keen’s “Building a Greenhouse Plans” e-book. The manual is filled with easy to follow instruction plans to build your own greenhouse. Most of the research material for this post are gathered from Bill Keene’s manual.